Throughout my lifetime, my mom made cookies at Christmas for our family and neighbors. That was just something we did and I made the natural, childish assumption that everyone did the same. 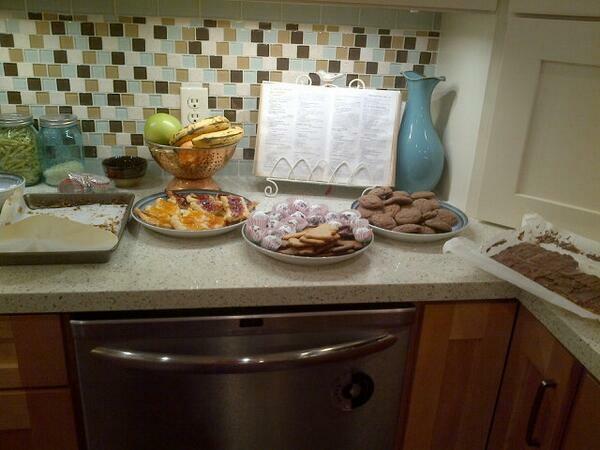 As I grew up, I heard about other traditions – gifts of fruitcake, fudge, holiday breads – but in our house, it was cookies. Our house smelled like heaven on baking day and my mom had to keep it much simpler than her Norwegian ancestors did where serving seven kinds of cookies (Syv Slag) is expected to properly celebrate Christmas. Mom had to limit her selection to about three or four – the time involved with baking and keeping her five kids out of the product took more than even her supermom skills could manage. 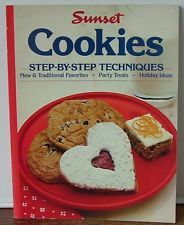 Almost 18 years ago, I started baking cookies myself at Christmas. To plan my attack, I took a piece of scrap paper from the recycling bin and wrote down the logistics: which cookies I would make, how many I would need, and what the total measurements were for the sugar, flour, butter, and eggs. The sheet I used was a daily report from my daughter’s school. She was 8 at the time she wrote it and each year I marvel at how much she’s changed since then. I use that same sheet to map my way each year, the same four central cookies still in play, which are Chocolate Chews, Finnish Ribbon Cakes, Brown Sugar Shortbread, and Truffles (OK, not technically a cookie, but still delicious). I keep this treasured piece of paper tucked into the Sunset Cookies Cookbook that I got at a school book sale which has three of the four recipes in it. Others recipes are added as time, tastes and need dictate. This year, I hit the magic seven mark. Working with my daughter, Laurel, and my son’s girlfriend, Pernilla, we made the four favorite cookies and added a few others to go along with them. Pernilla brought gingerbread dough with her from Finland that her mom made, using a recipe that was her grandmother’s. Pernilla patiently rolled out dough for 120 mostly Moomin shaped cookies, with a few holiday themed ones as well. We added in a batch of Seven Layer Magic bars. Once arranged on the plate, because I’d used two different types of jams for the Finnish Ribbon Cakes, we counted up the varieties and it came to seven. Pernilla took pictures of the plates of cookies to use in her presentation in Finland about Scandinavian traditions that are still in place in the US. I thought of my mom and her mom doing the same thing, joined by heritage and tradition across miles and generations. I was with my mom for her last Christmas in 2010. Recently diagnosed with terminal cancer, she was fretting over things she’d meant to do but hadn’t gotten to, things like send her Christmas cards and get gifts for her neighbors. I offered to make cookies and package them as gifts. 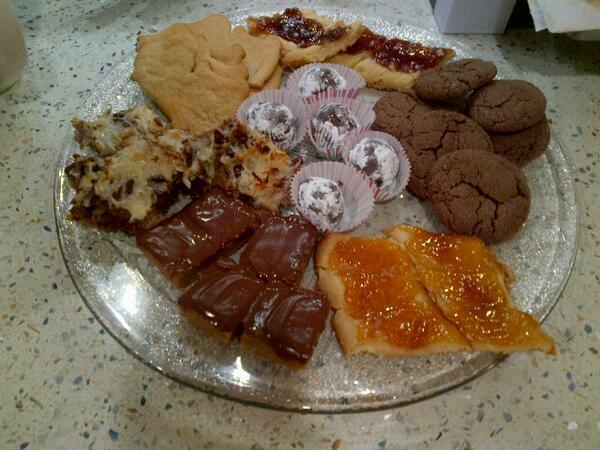 We passed several wonderful hours while I baked, talking about holidays gone by and our family memories. I used my favorite recipes, which I had just made two days before for my own neighbors, and knew by heart. It was a labor of love to be able to do this for my mom when she could no longer do it for herself. Everything about that day was poignant – the smell of the baking cookies in the air, the quiet companionship talking with my mom, the feeling of closure it brought to us both. Tasting the cookies, mom said they took her back to Christmases when she was a child, the warm taste of butter and sugar melting in her mouth. She said they were as good as her mother used to make, bringing tears to my eyes. I turned away so she didn’t see me cry – we’d cried too much already – but her compliment truly touched my heart. I plated the cookies, put a card with them and delivered them to her neighbors along with the news that mom had only weeks to live. It was a sad message delivered best with something sweet and homey, taking away a little of the sting. That afternoon felt like the truest way to honor my mother. Following traditions, remembering our shared journey, carrying those memories forward– I did for my mother when she couldn’t do for herself and knew that she was grateful. Baking this year with my own daughter and working side by side with Pernilla, I watched traditions being passed along, memories being made, and I felt my mom close by, nodding in approval.